YouTube TV is actually a really good service, but unfortunately, it keeps getting more expensive. After a previous price hike, Google today announced that YouTube TV would be increasing costs to a whopping $50 a month for all users. Understandably, many are looking to cancel and find alternatives as a result. Here are some of the best YouTube TV alternatives that won’t cost you quite as much. One of the most popular alternatives to YouTube TV will probably be Hulu Live TV. The relatively new option has a lot of the same features as YouTube TV and offers over 60 channels, including some local networks too. Better yet, it also comes with a standard Hulu subscription along with it for access to tons of on-demand content. The main limitations of Hulu’s Live TV offering compared to YouTube TV starts with DVR. Instead of unlimited DVR, Hulu only offers 50 hours of cloud storage, and you can’t fast-forward the content either. If you’re recording sports games, that’ll fill up very quickly. Further, Hulu TV lacks support for Google’s Android TV platform. It does, however, support Android, iOS, Roku, Fire TV, Chromecast, Nintendo Switch, Xbox, the web, and more. Pricing for Hulu Live TV starts at $45 a month, slightly under Google’s new YouTube TV pricing. There are add-ons for HBO, Cinemax, Showtime, Starz, more DVR space, and more. 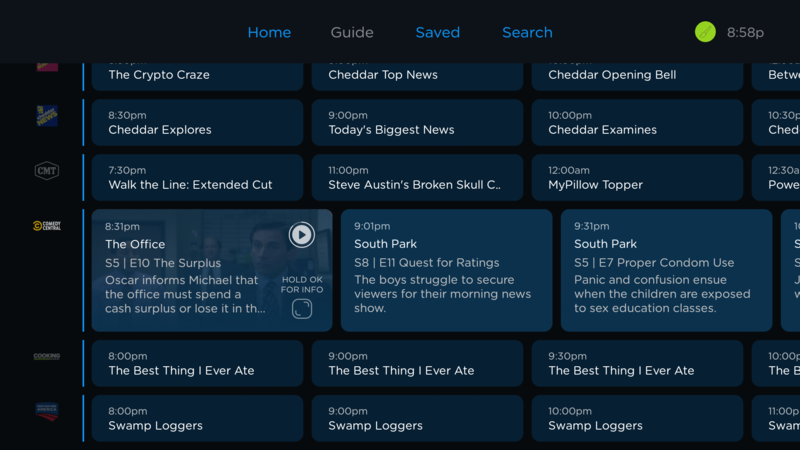 Sling TV was one of the first options for streaming actual television for cord cutters, and it’s still one of the best too. For as little as $25 a month ($15/month with current promotions), Sling offers up over 30 channels with each of its main packages. Stepping up to the Orange + Blue package offers 56 channels for $40 a month. With Sling, you can customize your perfect package with affordable base plans and a la carte pricing on extra networks. Another benefit of Sling TV is that it’s available basically everywhere. Android, Chromecast, Android TV, Roku, iOS, the web, you name it, it’s probably supported. Just like Hulu, Cloud DVR space is limited to 50 hours, but the content never expires and you can fast-forward as well as saving that content after you’ve canceled the service. You’ll need to add $5 a month for the option, though. Sling TV offers a free trial and, as mentioned, starts as low as $15 a month with current promotions. Despite its name, Playstation Vue doesn’t require Sony’s gaming console. Rather, this live TV streaming service works on most platforms and offers a pretty solid package too. There are four primary plans which start at $45 a month. That base plan grants you access to 45 channels, with the cost of adding additional channels bringing the potential total all the way up to $80 for the “Ultra” plan which includes HBO and Showtime. Like its competition, Playstation Vue includes Cloud DVR, but doesn’t have many limits on recording. Recorded programs only last for 28 days, but you can save an unlimited number of episodes of up to 500 different programs. As far as supported devices go, Sony supports its own consoles, as well as Android TV, Chromecast, Roku, Fire TV, Android, iOS, and more. You can sign-up for a free trial of PlayStation Vue here. By far the least expensive YouTube TV alternative we’ve seen is Philo. The service isn’t without its restrictions, but you’re getting solid value with 45 channels for just $16 a month. 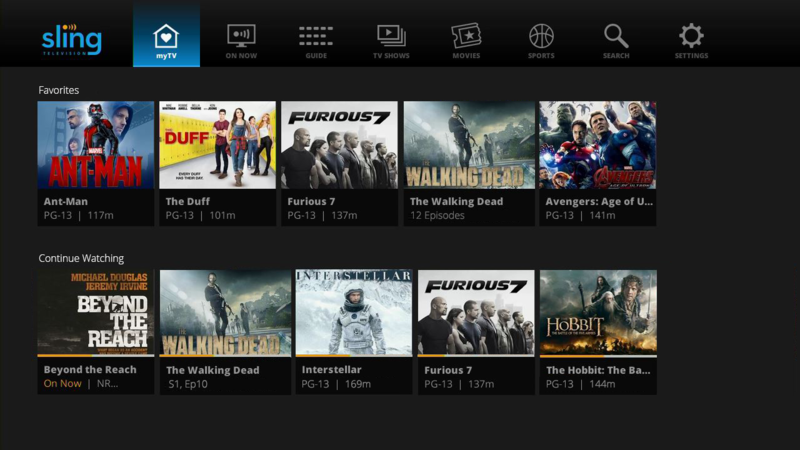 With the help of a $4/month add-on, Philo offers up to 58 channels for $20 each month. It lacks options for sports or premium add-ons like HBO or Showtime, but for entertainment alone, it offers a really good package of networks. Philo supports DVR with unlimited recording with storage for up to 30 days. There’s support for most platforms as well including the web, Android, iOS, Chromecast, Android TV, Roku, Fire TV, and Apple TV. The main restriction, though, is that not all channels are supported on all platforms. CordCutters has an excellent guide on this. For the money, Philo is pretty much unbeatable. You can sign up for a free trial on the service’s site. What’s your favorite? Will you stick with YouTube TV? What’s your favorite YouTube TV alternative? For me, Philo seems like the option to beat. However, YouTube TV is still compelling just because of its DVR function. Unlimited recording plus 9 months of storage is compelling and might keep my subscription going a bit longer. Let us know in the comments if you’re sticking with YouTube TV, or ditching it for an alternative.